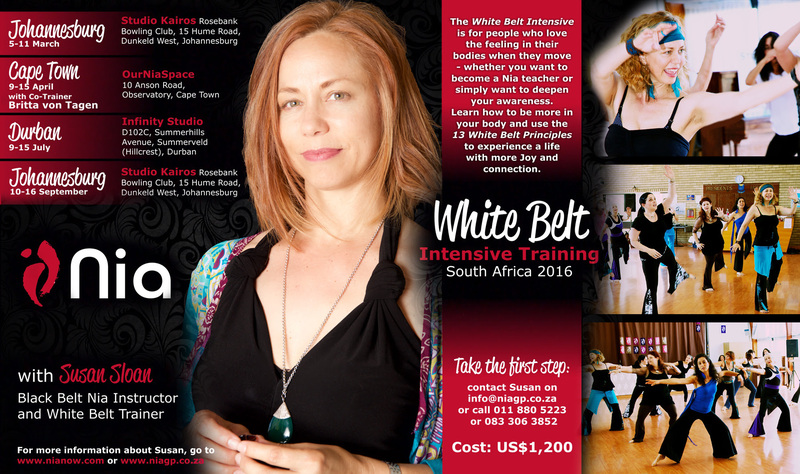 If you want to give yourself a gift, consider taking the White Belt Intensive. It is for people who love the feeling in their bodies when they move – whether you want to teach or simply want to deepen your awareness. Its 6 days of time out for you. You talk, you listen, you move, you play, you feel, you experience. You need no movement background or fitness level and you don’t have to be a student of Nia. The White Belt is for personal growth or to become a Nia teacher. It’s a week of joy and discovery: a true gift to you and your body!